The arabic@cooper typeface is an Arabic font designed by Tarek Atrissi Design; it is a one weight display font that has been initially designed to be used in the large titles of exhibitions within museums or galleries. 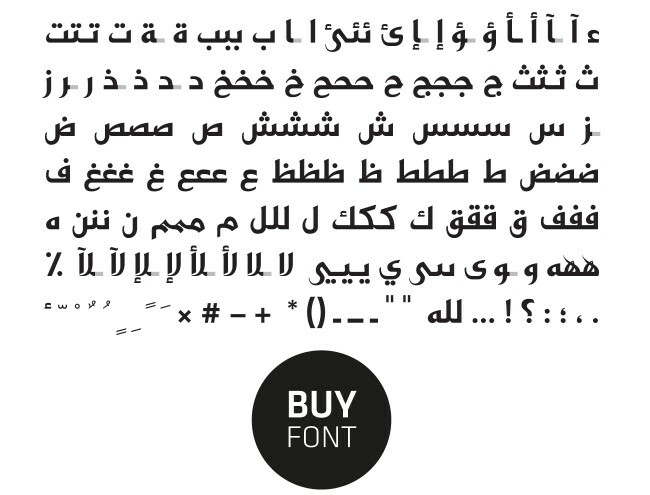 It is available for purchase and licensing through the www.arabictypography.com website. Arabic@cooper explores the relationship between traditional Arabic calligraphy and the modularity of contemporary digital type design. It is the result of a design process that lasted few years and that started originally as part of a lettering project. It was developed further as part of type@cooper educational typeface design program in the cooper union New York. More weights for the font are under development, as well as a Latin counterpart. 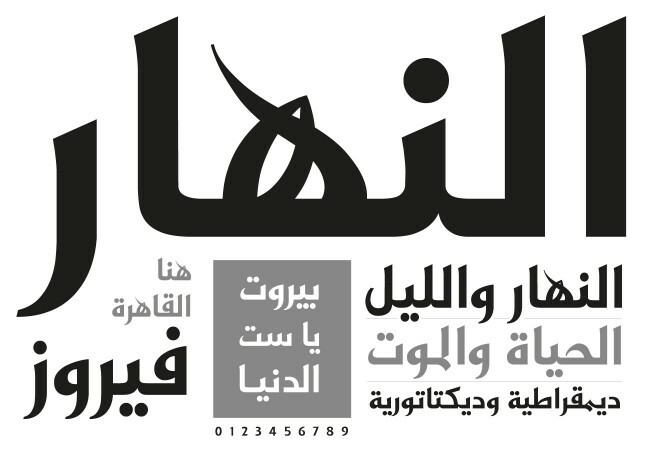 Since its release, arabic@cooper has been used by some high profile institutions. As it was originally intended, it was used in several exhibitions as part of large titles and as part of exhibition panels. It was adopted as well in the logo design of the Qatar 2022 Supreme Committee organizing the FIFA World Cup in 2022. The fonts’ calligraphic details in addition to its geometric simplicity proved to be an excellent choice for usage in logo design and corporate identities.